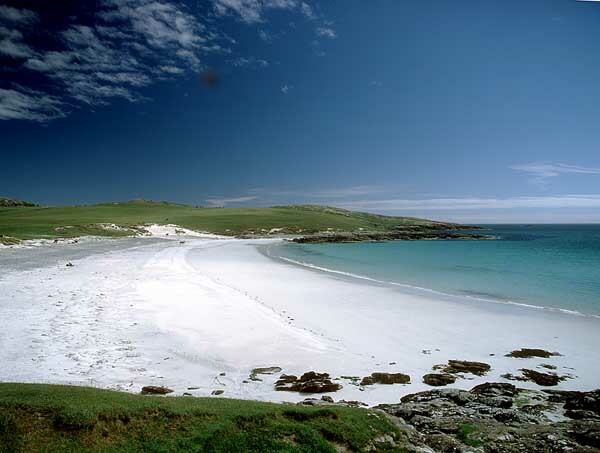 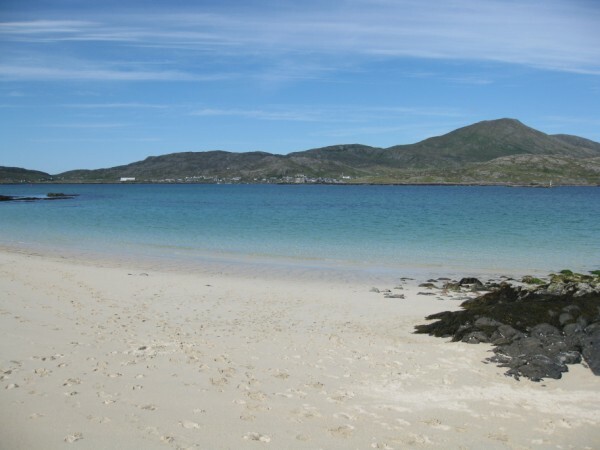 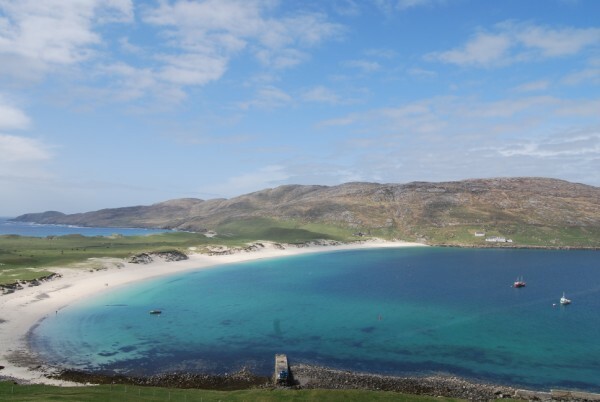 Barra and Vatersay are wonderful islands for walkers, whether a stroll around the harbour, along one of the many beaches, around the island by road, or more ambitious hill walks. 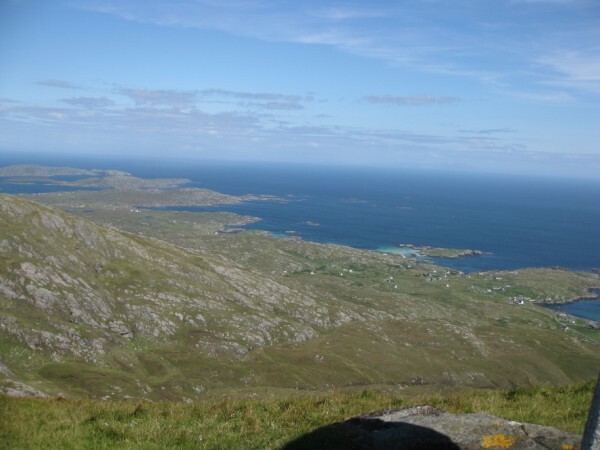 The tourist board publish some suggestions – but the best suggestion is to just go! 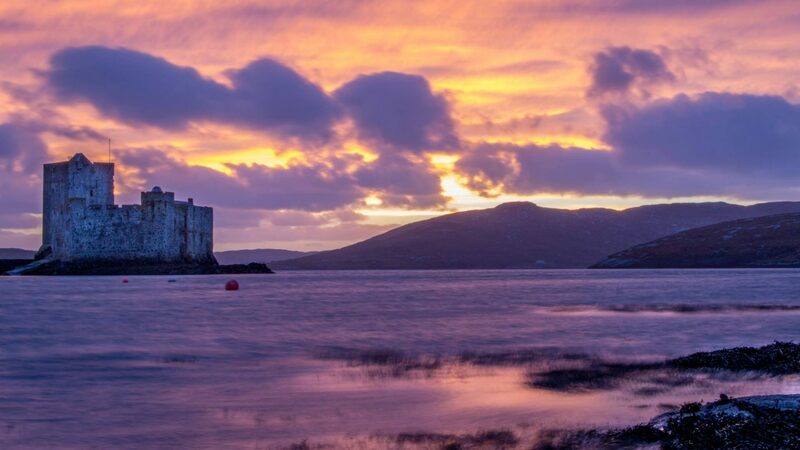 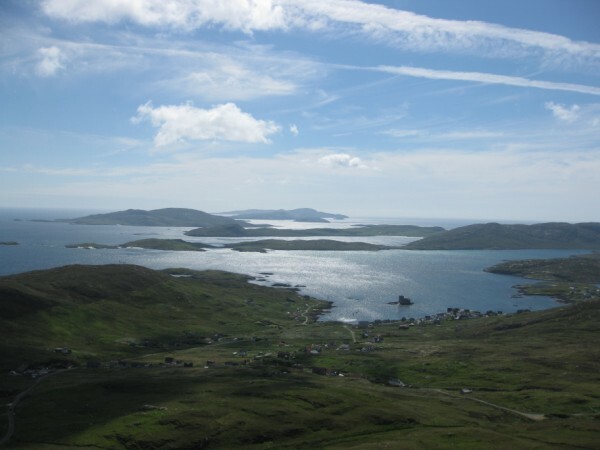 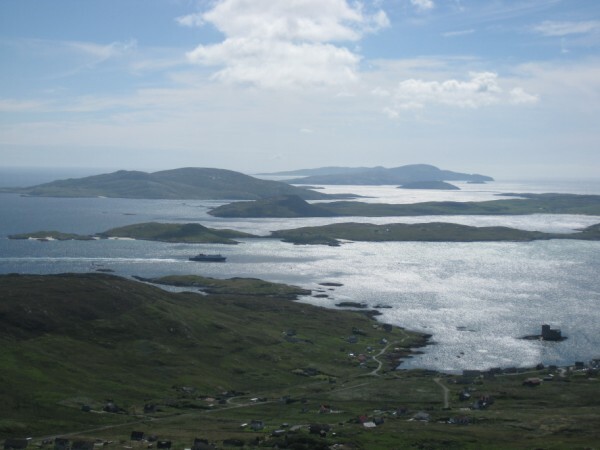 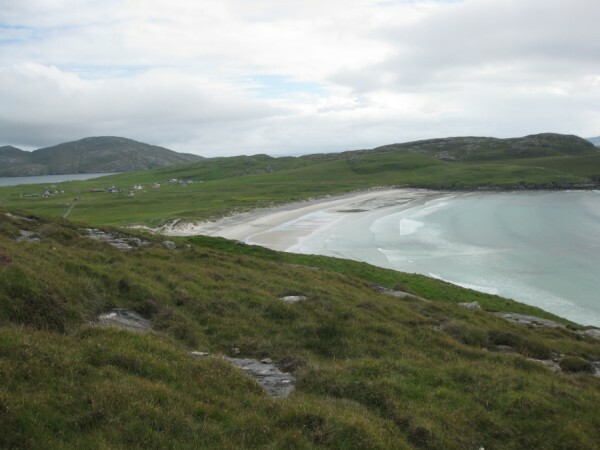 One great adventure is to climb Heaval, the highest hill on Barra which rises to 360 metres (almost 1,200 feet); from here you will have a 360 degree panoramic view all around the island and with views across the islands to the south – see the photos below. 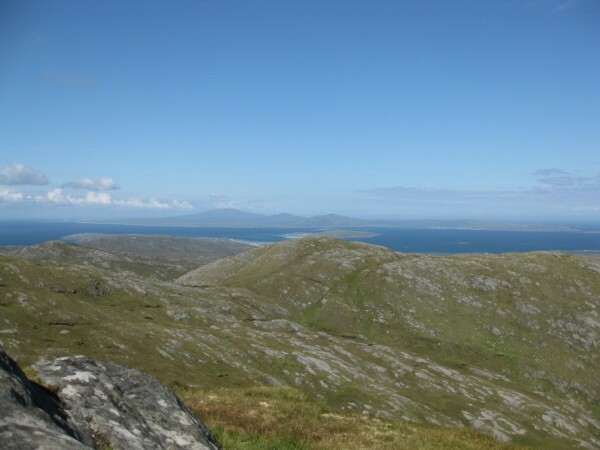 The weather can change fairly quickly, so if you are going for an extended walk/climb, it is advisable to be properly equipped.